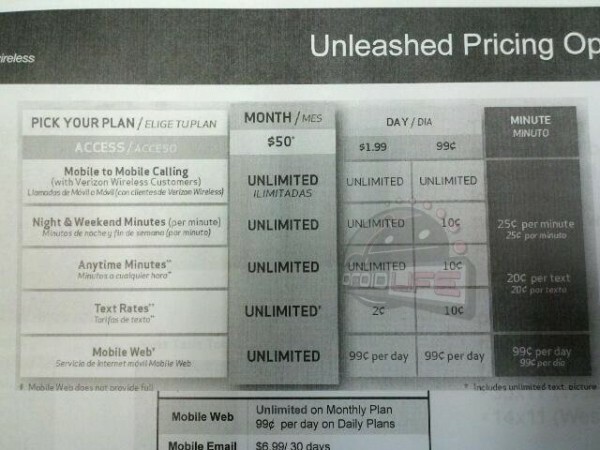 Not even a day after learning that Verizon plans to axe their 1-year contracts leaving you with just 2 talk and text plans (2-year or month-to-month), the photo above dropped into our inbox. 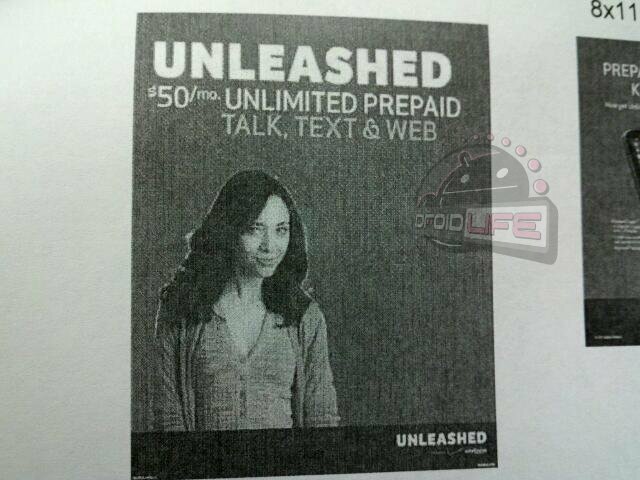 While it’s unclear how new this information is, what we do know is that this is a month-to-month (prepaid) plan for $50 that would give customers unlimited everything, well except for data. Talk about attractive. We should point out that there was talk of a plan similar to this back in the summer of 2010, but only as a test in certain regions. I can tell you this – if they start to offer $50 prepaid plans along with $30 unlimited data per month, it would be hard for anyone to even consider sticking with a 2-year contract. Sure, you don’t get the instant discount on a new device, but you also aren’t signing 2 years of your life away to your wireless carrier.